New from Yamaha this 82Z Soprano has been designed with some of their finest artists, including Nigel Hitchcock. The Z version is a standard one piece model, this model has been years in the making and is a serious contender for any pro Sop choice. 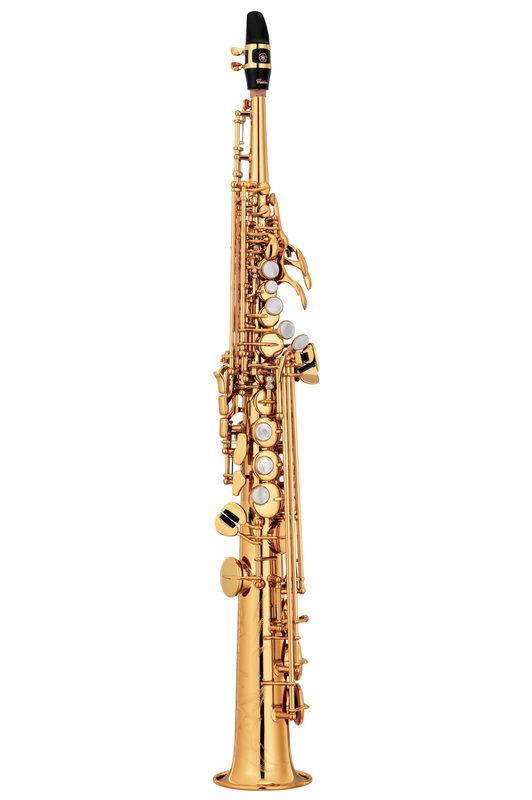 Based on the scale and design of the classic '62' models, Custom Z saxophones have bodies that are made of a special brass alloy for lighter weight, a great playing 'feel', and the kind of tonal flexibility you've always dreamed of. The Z plays evenly in all ranges, and gives the player a huge dynamic range for as much - or as little - sound as you want. The Custom Z saxes have unparalleled tonal flexibility for confident performance in all styles of music, and there's no need to sacrifice comfort for sound.